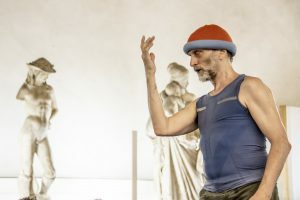 Globally recognized choreographer-performer and teacher Benoît Lachambre offers a weeklong workshop in April based around his somatic practice. He invites the community to a professional development workshop built from two distinct educational approaches created within his company Par B.L.eux. Lachambre calls on professional dancers and actors to join him for a week dedicated to exploration and research. Participants will practice deepening and increasing their acuity of senses in a living collective space. By way of guided conceptualization and improvised construction of body architectures, participants will have the opportunity to engage in ongoing adaptive dialogues and to connect deeply with somatic approaches. By opening direct communication between internal and external physicalities, Benoît Lachambre will guide participants through creating a space where they can reinvest the choreographic links that live within them. 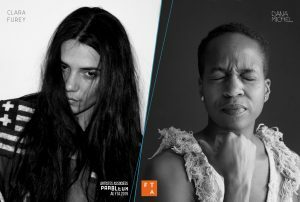 Par B.L.eux is proud to see its associate artists, Clara Furey and Dana Michel, on this year’s FTA program. The two rising creative forces bring us two solo works, embodying a renewal that represents a new wave in contemporary choreographic practice. Clara Furey’s creation Rather a Ditch, performed by Céline Bonnier, comes to the stage at La Chapelle | Scènes Contemporaines from May 26–30, 2019 for its World Premiere. With Rather a Dicth, Furey continues her ongoing exploration of proclivity, depth and minimalism, and the always porous boundaries between mediums. Dana Michel will present her North American Premiere new solo CUTLASS SPRING at the FTA and will be presented from May 31 to June 3 at Théâtre Prospero. CUTLASS SPRING is an intuitive investigation of the sexual self and deconstruction of performativity. For more informations, here is our press release ! Fluid Grounds, Par B.L.eux’s last creation, will be presented in Mexico on March 14, 15, 16th for 3 dates at Museo Universitario del Chopo. Those performances will be preceded by a two week workshop by Benoît Lachambre at CEPRODAC of Mexico City. Fluid Grounds is an ambulatory choreographic quintet performance mapped out and set in motion by Benoît Lachambre. The second part of a triptych that began with Lifeguard (a solo created by Benoît Lachambre in 2016), Fluid Grounds is a production of Par B.L.eux and Sophie Corriveau in coproduction with Agora de la danse, Festival TransAmériques and Charleroi Danse. Showcasing movement and its emotion through sensory and imagination awakening, Fluid Grounds is a vibratory and sensory space where body and dance coexist and join all aspects of the work together: presence, action and what unites and survives us. Par B.L.eux wants to thank Simon Vinh Mercier-Nguyen and Ouassim Tadlaoui for their involvement in the company’s board of directors. 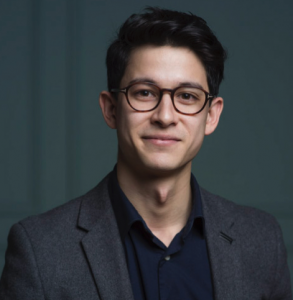 Simon Vinh Mercier-Nguyen started his career in interactive and digital media arts working with the Society for Arts and Technology exploring creative uses for immersive interactive technologies in performance arts, education, sustainable development and healthcare. These days he works as a design consultant helping organizations build user-centered service experiences and empowering people with the knowledge and confidence to create their best future. As a classical flutist by training, it is with deep love for the performing arts that has led him to support Par B.L.eux since 2016. 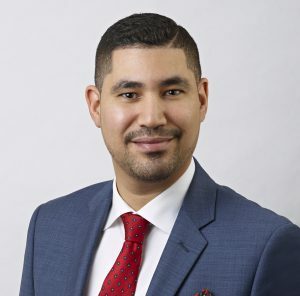 Ouassim Tadlaoui is a member of the financial services group of Borden Ladner Gervais LLP and specializes in bankruptcy and corporate restructuring law. As a litigator, he represents banks and other financial institutions in loan recovery while additionally providing council and support to domestic and international companies undergoing restructuring. He also specializes in construction law, specifically in the construction bonding industry, and has appeared many times before the Superior Court (Civil and Commercial Chambers) and the Court of Appeal. Furthermore, Ouassim works with several organizations in bringing together the arts and business. In particular, he is involved in the Brigade Arts Affaires de Montréal, and is a member of the Mécènes investis pour les arts. He has supported Par B.L.eux since 2017 and has been a great aid in the development of our philanthropic activities. Benoît Lachambre will give a workshop in Montréal at Studio Par B.L.eux, from January, 08th to 11th. This workshop is presented by Classes techniques of RQD (Regroupement Québécois de la danse). Benoît Lachambre has an approach which is inspired by releasing technic and combine the kinesthetic movement and improvisation. This workshop will allow the participant to meet his somatic approach. Fluid Grounds, will be in Paris on June 20th for it’s European premiere. A date co-presented by the June Events Festival and the Centre National de la Danse de Pantin, within the framework of the event Camping 4. This performative work, produced by Par B.L.eux and Sophie Corriveau and coproduced by the prestigious partners that are Charleroi Danse, Agora de la Dance, and the Festival TransAmériques, takes place at a crossroads between performance, choreography, installation and visual arts. 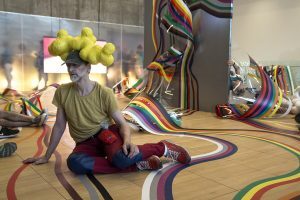 Fluid Grounds is an immersive experience, somewhere between reality and action, perhaps an interdisciplinary parallel reality, in which improvisation, visual arts and movement merge into a rainbow of possibilities. Fluid Grounds, the last Benoît Lachambre’s creation will be presented on June 1st, 2nd and 3 rd 2018 at F.T.A. in Montréal. This transdisciplinary work by Par B.L.eux and Sophie Corriveau, present a mooving landscape where anything is possible. Discover our official press release.